Throughout the aging process, there are often times when we need extra assistance. Whether due to an injury, illness, temporary setback, or long-term health concern, having the right level of support makes challenges easier to overcome and goals easier to achieve. 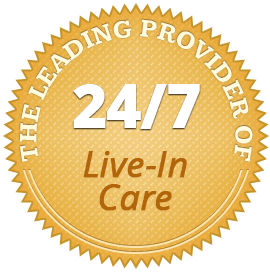 At Home Care Assistance of Guelph, ON, we offer viable solutions that help seniors maintain a high-quality lifestyle. Our professional hourly home care services make it easier for seniors to remain in their homes without sacrificing safety, health, or comfort. Hourly home care is a flexible care option that provides seniors with assistance when they need it most. Guelph Home Care Assistance provides this type of care on an as-needed basis, mornings, evenings or overnight. Care schedules range from four hours a day to 24 hours a day, making it convenient and affordable to assist your loved one in managing all of his or her care needs. Accepting assistance from a professional is often difficult for seniors. 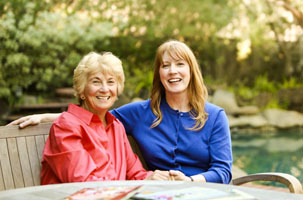 Home Care Assistance meets this challenge by individually matching every client with an experienced caregiver. We consider the personality, likes and dislikes, hobbies, interests, and skills of both the caregiver and the client when making a match. This helps our clients build meaningful relationships with their caregivers and accept assistance more willingly, and it removes much of the stress and anxiety that can come from hiring a home care agency. To learn more about Home Care Assistance in Guelph, ON, and our hourly care services, contact our office at (519) 954-2111 to speak with a knowledgeable Care Manager and schedule your free, no-obligation consultation.